D-9087 after being subjected to SCP-1725's second setting. Special Containment Procedures: SCP-1725 is to be held in a Safe Containment cell, located at Site-77's Safe SCP division. This locker is to be secured with an electronic locking system. Any persons affected by SCP-1725 who are found outside of containment are to be held and questioned about possible involvement with the group of interest Marshall, Carter, and Dark Ltd, followed by the administration of a Class-B amnestic. Description: SCP-1725 is an ornate brass box, with an area of approximately 4x3x3 meters. SCP-1725 has a panel attached to its left side, with a dial that can adjust to nine different settings. There is also a terminal, which only activates when the dial is set to '9'. SCP-1725 does not require any outside power source to function, and does not produce any type of waste. The words "Marshall Carter and Dark Ltd" have been embossed onto the bottom of SCP-1725, and onto the top of the control panel. Any persons who enter SCP-1725 are subject to its anomalous effect. Any person within SCP-1725 when the dial is changed will have one of nine physical mutations applied to them. These mutations correspond with the options on SCP-1725's control panel. The mutations are designed in such a way that they cause the persons body to mimic popular fashion accessories such as earrings and high heels. For a complete list of possible SCP-1725 mutations, please see Addendum 1725-A. 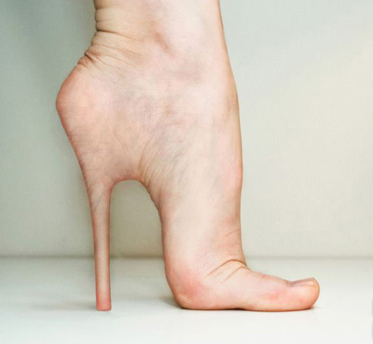 Setting Two "Heels" Affected persons will grow large bone protrusions from their heels, with additional scar tissue growing to cover it. This growth is both rapid and extremely painful. These protrusions can cause extreme defects to the person's existing bone structure due to the stress caused by the sudden additional bone growth. Setting Five "Wings" Persons will grow large bone and sinew structures on their backs, superficially resembling nonfunctional butterfly wings. These 'wings' are extremely fragile, and subjects are highly sensitive towards them. Subjects do not display any amount of control over these 'wings'. Setting Six "Beauty" Persons will appear to grow porcelain-like covering over their skin. This covering has an appearance similar to marble, and is extremely fragile. Due to the fact that there are no openings for the subject's nose or mouth, holes must be cut in this covering or else subjects will suffocate. In addition, large muscles will appear to grow on the subject. However, these new growths are actually a thin layer of skin stretched over a fluid filled cyst. 1. It is believed that SCP-1808, recovered later in Somerset, England, was acquired to cater to clientele intrigued by the demonstration of this option.